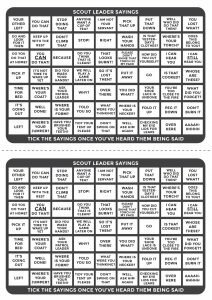 It gave me an idea to jot all these sayings down and turn them into a bingo game. 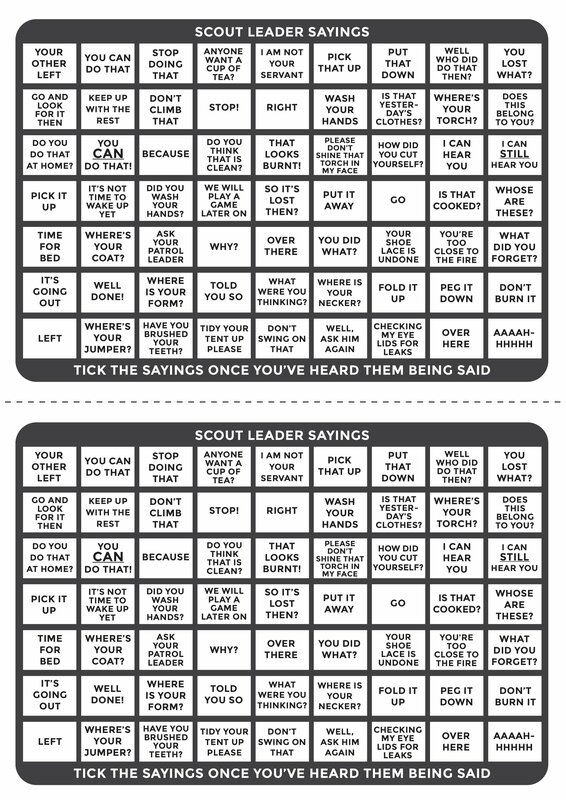 I’ve attached a bingo sheet with these sayings that you can print off and give them to each young person and play the Scout Leader Bingo game. Have you ever considered publishing an e-book or guest authoring on other websites? I have a blog based upon on the same information you discuss and would love to have you share some stories/information. I know my subscribers would enjoy your work. If you’re even remotely interested, feel free to shoot me an e mail.